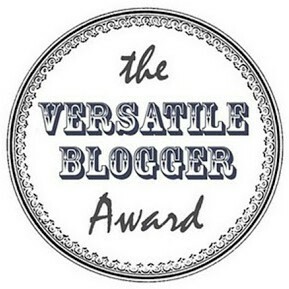 I’m a little behind with this but back in May, Helen from Helen’s Journey nominated me for the Versatile Blogger Award. Thank you so much Helen. It may have taken me a while, but I’m finally getting onto posting about the award. I have A Level qualifications in Business Studies, Computer Technology and Art. Thank you again Helen for the nomination! Anyone who participates, don’t forget to tag me in your posts so I can see your replies. Ahh you are very welcome for the nomination lovely – I enjoyed reading your 7 facts & finding out more about you. Where did you go on holiday when you went abroad? Yeah it’s surprising how many skills we think of as basic or minors but to someone who can’t do it or wouldn’t know where to start in trying to do it – then they become bigger. I know what you mean. There’s plenty of things that I wish I could do well. There’s so many places in the UK to explore and they are really beautiful. I’ve finally found someone shorter than me! That’s pretty cool that you used to play trumpet too. I wish I was a bit taller to be honest. My fiance is 6 foot 4 so a big difference haha! I’m learning the clarinet now but haven’t has as much time as I’d like to carry on practising.